Black Star Co-op is a revolutionary new Austin brewpub. So when I was told to review their food and beer, I solemnly bowed my head to the orders of Austinot Eric. What can I say, we all must sacrifice occasionally. Neither stout nor IPA nor pilsner nor gloom of porters will stay this blogger from the swift completion of his appointed rounds. Since its opening in 2010, Black Star Co-op has built its reputation around mixing the novel and traditional. First, the business is a co-operative. All of its members, from top to bottom, own part of the business. All decisions are made through a democratically-controlled voting system. The first community-owned brewpub in America, one of Black Star’s tenets is to pay each employees a living wage, so they will respectfully decline if you try to tip them. When it comes to filling food for the working crowd, the party crowd, and the foodies in Austin, very few places compare to Way South Philly. 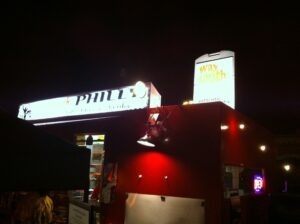 Possibly the best Philly Cheesesteak in Austin has been discovered by the Austinot. First let me just say that if you know of a better Philly Cheesesteak joint in Austin, I’d like to hear about it. Until you prove me wrong, I’m going to have to give the nod for best Philly Cheesesteak in Austin to Way South Philly. Located in a food truck lot on East 6th and Waller, just east of I-35, is a little red food truck. This little red truck packs such an authentic Philly flavor, it will have you humming the Rocky theme and looking to ring the Liberty Bell. 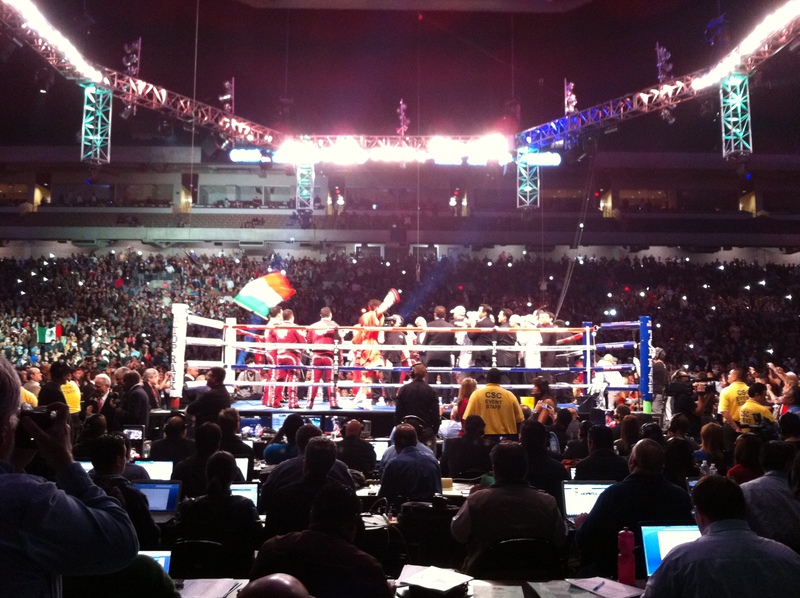 The atmosphere is electric, the tension palpable and the first time you hear Lupe Contreras say, “It’s time to see who’s mas macho!” Jimmy Lennon Jr say, “It’s Showtime,” or Michael Buffer with his signature “Let’s get ready to rumble!” you’ll get immediately hooked into this world of the professional pugilist. 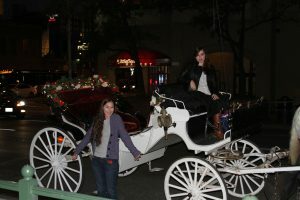 Recently we were INVITED to check out Austin Carriage, the original horse-drawn carriage company in the city of Austin. These folks, who provide Austin tours via horse-drawn carriage, are fantastic. And no, they haven’t paid us a penny to say this. So read on, fellow Austinot, and learn a little more about this company and what they are all about. 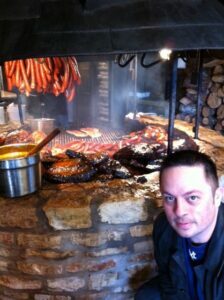 Looking for amazing barbecue food, Austin? Then let’s start with this question: Where is the best BBQ in Texas? I love BBQ. Yes, love is a strong word, I know…but I could honestly eat good ol’ fashioned Texas BBQ three days a week and never tire of it. 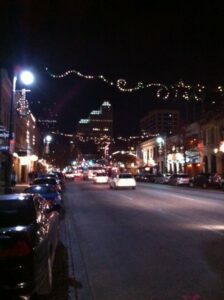 Sixth Street always seems to be the buzz phrase when it comes to Austin nightlife. On our most recent outing, the 6th definitely lived up to the hype. We arrived before the crowds, so we were able to find street parking on Red River, right off of 6th. A short stroll (a little bit longer, since I realized I forgot my I.D. and had to go back to the car) brought us to our destination: Pete’s Dueling Piano Bar. I must confess that being new to the scene, Austin bars are all about the same to me right now. But Pete’s is a place I’ve been wanting to visit for a long time, and it didn’t let me down. 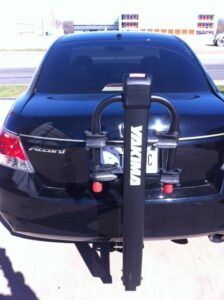 After getting our new bikes at The Peddler, we picked up a Yakima Doubledown bike rack from REI. The next step in this long Austin biking adventure? A hitch for our bike rack. When we get ideas into our heads, we usually want them done fast. 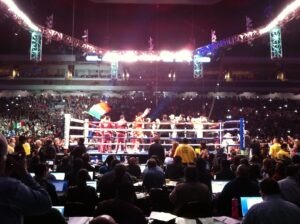 This found us desperately calling hitch shops in Austin, TX, early on Saturday morning. The places we called either weren’t open, or they didn’t have the hitch we needed in stock. We couldn’t wait three days. We wanted to get our bikes out to Fredericksburg that day.